Overview : The Spider Holster Black Widow Holster includes everything you need for the most comfortable Black Widow Holster experience. The Black Widow camera holster is perfect for any lightweight DSLR, Micro 4/3rds, Mirrorless camera, compact video camera or point and shoot camera. Slip on your Black Widow and carry your camera comfortably at your hip all day long without any cumbersome camera straps getting in your way. Light-weight and compact, the Black Widow is perfect for the vacationing photographer, or any activity where you simply want your camera easily accessible but out of the way. Quality/Usability : Today, photographers have a million options of carrying their camera. You have the traditional neck strap, slings, harness, wrist straps, hand straps and whatever you can think of. I've been looking for a system where I can carry my Canon Powershot S100 where it's easily accessible when I need to use the camera and to store when I don't whether it be at a wedding, family function or even on vacation such as my recent trip to Disneyland and California Adventures. If you order the basic Black Widow setup, all you get is the holster and pin/washer. If you purchase the basic setup, you will need to loop the holster to one of your own belts. If you wear a belt 99.9% of the time like I do, this won't be a problem. If you usually don't wear a belt or a female wearing a dress, you will want to considering picking up the belt to go along with the holster as it works very will with the Black Widow Holster. The basic setup is $49.99 and the basic setup with belt/pad is $65.99. You can always purchase the belt/pad at a later date if you feel that you need it. Belt: The belt is highly recommended if you plan on carrying a small DSLR or if you do not often wear a belt with your clothing. I've experienced placing the basic setup on my own belt and it pulled my pants down. it felt as if my pants was going to fall down to my ankles. Having that second belt specifically for the camera is a great idea. No more having to constantly pull your pants up every few minutes. The belt is made of heavy canvas with velcro to hold the strap in place. The belt is pretty much a one size fits all. There is plenty of belt strap to fit many body sizes. The belt retails for $15.99. Pad: The pad is a very nice accessory to have, to help protect your camera. 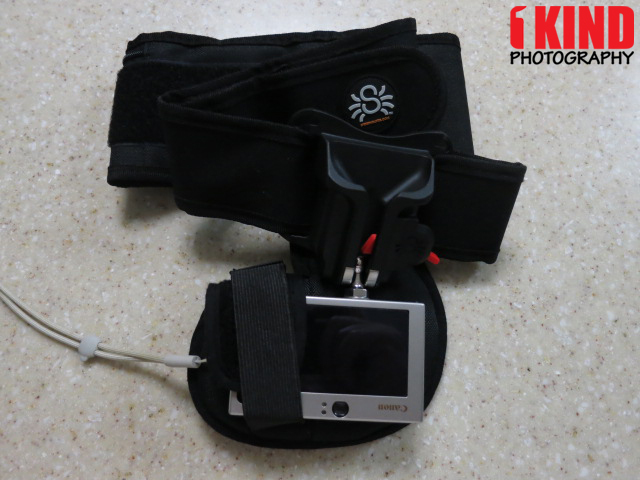 The pad helps stop the camera from bouncing around while you're walking, bumping up against your body and it also provides some protection from scratching while its rubbing against your clothing for heavier loads but it is also a good to have even if you are carrying smaller cameras. The pad retails for $15.99. Thin Plate (review): If you use a tripod frequently, Spider has not forgotten about you. Instead of constantly having to remove the pin, the thin plate allows you to use the holster while your head plate is still attached. The thin plate retails for $15.99. Extra Pins: If you have additional cameras, you can purchase extra pins and easily swap cameras without having to swap pins each time. This is great for quick switching between cameras. The extra pin retails for $7.99. The Black Widow Holster is made of high quality plastics which feels great in the hand. Having read that it's made of plastic, I was a little concerned whether or not it would hold my gear. With my Canon Powershot S100, it's light in weight so I wasn't too concerned. I would be concerned with my Nikon D7000 since its was significantly heavier and bulkier. Although the Black Widow holster was tested heavily with no issues with weights up to 5 lbs, Spider recommends to use the weight chart below, especially if you are considering using it on your own belt. This chart reflects Spider's suggested level of wear's comfort using the BW various accessories. This includes small DSLRs with kit lenses along with Micro Four Thirds (M4/3) and advanced compacts. For photographers with larger setups, Spider makes the SpiderPro Holster. With its all metal construction, the SpiderPro is much beefier and sturdier than the Black Widow and is designed to carry full sized DSLRs with pro lens. 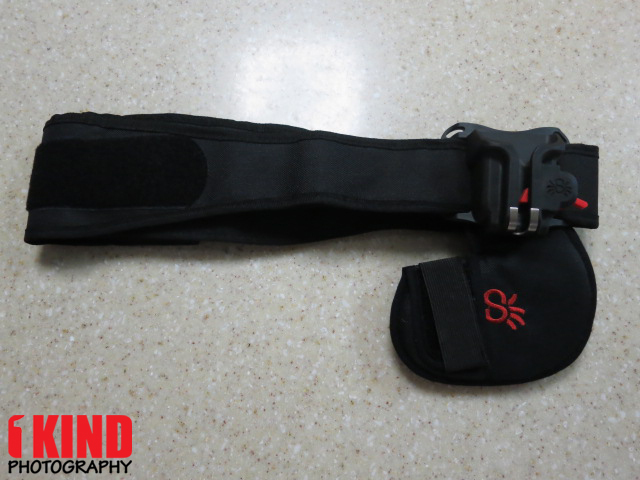 The SpiderPro also has a dual carrying belt option for those that need to quickly switch between cameras. The release mechanism (red lever) is a bit of a disappointment. Granted, it does its job of preventing the camera from coming out accidentally but it kind of felt cheap especially with the spring mechanism, if you want to call it that. It looks like its just a lever that pulls back and the plastic bends. When I pull on it to release my camera, it felt like I was going to break it or pull too far back. After some rigorous use and having to constantly take my camera in and out, its still working perfectly and doesn't seem to be affected. To use the Black Widow Holster, its quite simple actually. Thread the holster through your own belt or the belt offered by Spider and put the belt on. 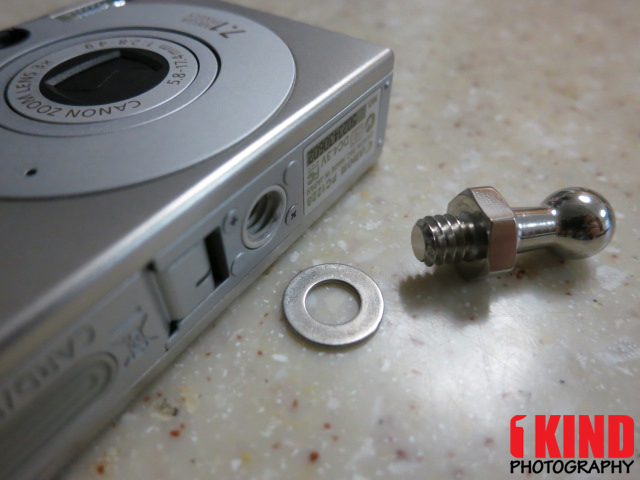 Next, put the washer through the pin and screw the pin to the tripod mount on your camera. Make sure to tighten it with a wrench (not included). Once everything is installed and securely tightened, finally slide the pin into the holster. To remove the camera, simply pull up on the red lever with one hand and pull the camera up with the other. When you're done, place the camera back into the holster. 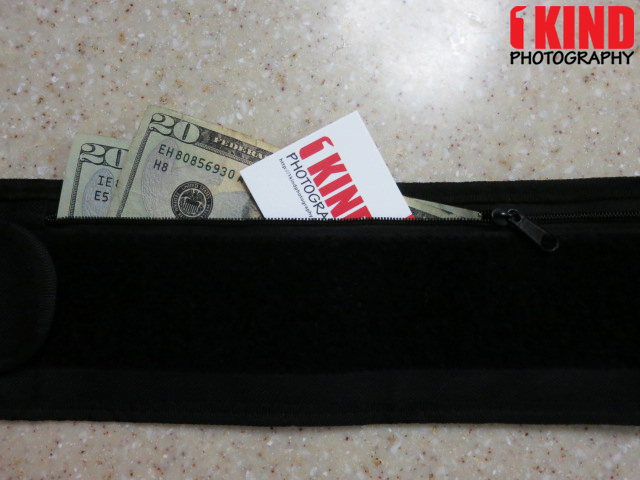 The Black Widow belt even has a zippered pocket to store your credit cards, drivers license, business card and even money. The Black Widow pad can even hold your camera in place while you're on the move. There's only so much you can put on your shoulder or back. If you're wearing a backpack, a sling strap can get uncomfortable, especially on a hot humid day or during a 8-hour shoot or event. If you like to travel, this is the perfect solution for carrying a camera while hiking or in a theme park. It doesn't get in the way and frees your hands. 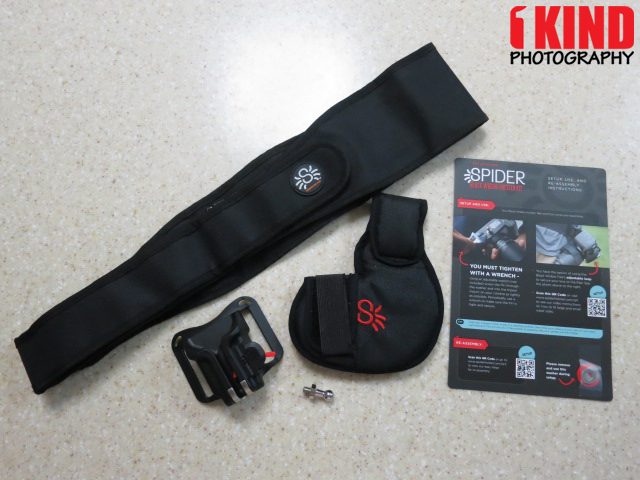 Conclusion : Overall, the The Spider Holster Black Widow Kit is an awesome product. It takes the weight off your shoulders and back and puts it on your hip and you won't notice it by your side. It's perfect for small lightweight cameras such as point-and-shoot, mirrorless, Micro 4/3rds and DSLRs. You can use the Black Widow either with your own belt or their own belt and pad and your camera will be easily accessible when you need to use your camera or to mount. Despite the Black Widow mainly constructed of plastic, my only complaint is the red lever that releases the pin. It feels a bit cheap when you pull on it but after extensive use, its holding up.